Are you craving that sweet delicious boba? North Carolina’s bubble tea shops are serving up all the flavors you could dream about. Bubble tea is a Taiwanese tea drink typically made with tapioca “bubbles” or boba. The drink is served cold and is wonderfully sweet. Find flavors like taro, blueberry, peach, and lychee, at these great bubble tea shops in North Carolina. Kung Fu Tea wants to be the Starbucks of bubble tea, and they’re well on their way. The small franchise is making its way through North Carolina like wildfire. Enjoy a long list of flavors and exceptional service when you stop in. The bubble tea at Tea Fusion Café is thick and rich, plus most flavors are topped with tasty garnishes. Choose from green tea, strawberry, taro, Oreo cookie, and more. From fruity to extra sweet—and a few flavors in between—you’ll find the perfect bubble tea to satisfy your craving. Rena Marie’s Coffees & Bubble Tea keeps the Winston-Salem area sipping their frothy tea drinks. Using only the finest—many organic—ingredients in all they serve, you’ll get one of the most refreshing drinks around at Rena Marie’s. Enjoy bubble tea or a bubble tea smoothie at Bubbleful Tea. Customers rave about the selections and the excellent service. They also love the welcoming atmosphere. It’s a popular spot for young moms to meet. At Crazy Boba, they’ve even infused tastes of the holidays into their bubble tea. Chocolate Mint and Peppermint Mocha are the new seasonal flavors and they’re big hits already. Try one of their new bubble flavors, too. Yes, the tapioca balls have their own delicious tastes! Choose from cherry, blueberry, peach, and more. LOL Bubble Tea and Coffee has a wealth of bubble tea flavors. Made as a drink or even thicker as a smoothie, choose from peach, grapefruit, honey, lychee, rose, winter melon, passion fruit, mango and more. A nice assortment of snack foods is available to enjoy with your bubble tea, too. Enjoy authentically sourced bubble tea at Boba Brew. Have your bubble tea made cold, into a smoothie or it can even be served hot. Their array of flavors is vast, and you may select the kind of boba you want in your drink as well. Yaya Tea has made its way from New York City to Chapel Hill, and the locals are loving their bubble tea. Known for their rice balls, Japanese snacks and bubble tea, customers stop in for a small bite to eat while enjoying flavors like strawberry-lychee, mango-lychee, green apple-kiwi and more. 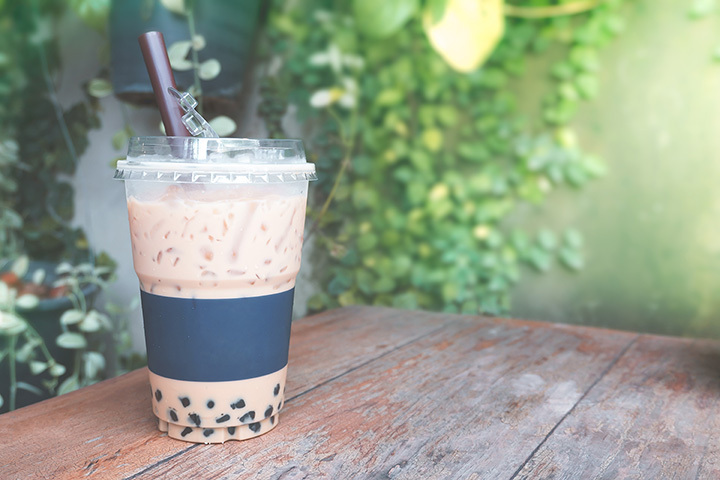 Order your bubble tea at Master Tea Café & Bites, and then enjoy their laid-back atmosphere as you enjoy it. There are lots of tables and seating, and everyone loves the music that’s played. Choose from mint, pumpkin, jasmine, oolong and more. They’re just the beginning of a long list of flavor options. You’ll love the bubble tea at Tama Café. Flavors including jasmine lemonade, peach pear, ginger mint and green chai coconut comprise part of the creative menu. There are updates seasonally, so always ask if something new is available. The menu also includes a very appealing array of sandwiches and small plates.